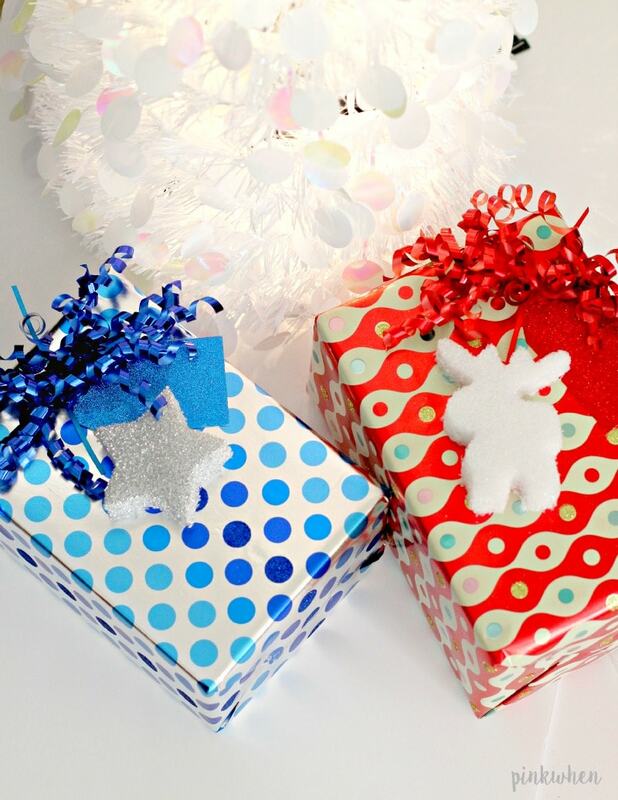 I was so excited when FloraCraft® reached out to me last month and asked me to be a part of their Christmas Blitz. As a former part of the MakeIt: Fun® craft team, I was super excited to play with their amazing foam again. As part of the Christmas Blitz, I decided to create a couple of DIY Christmas Gift Tags that were inspired by the FloraCraft® Holiday e-book. 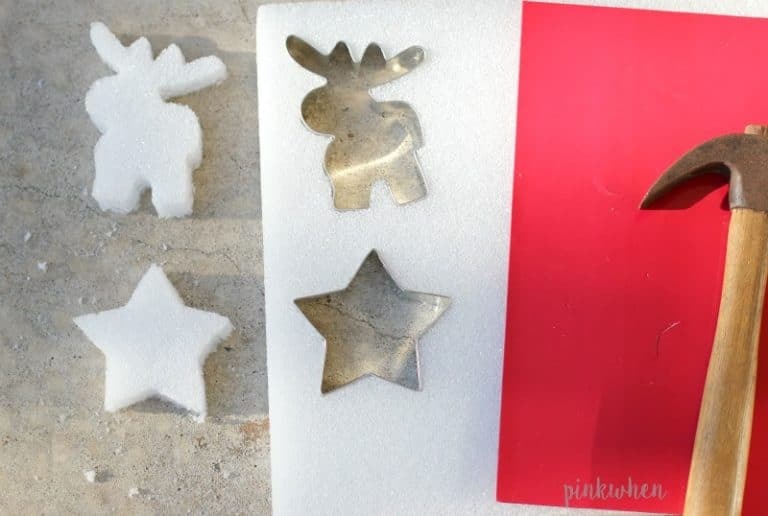 You can’t have Christmas without stars, and who can resist a Moose? I know I can’t! 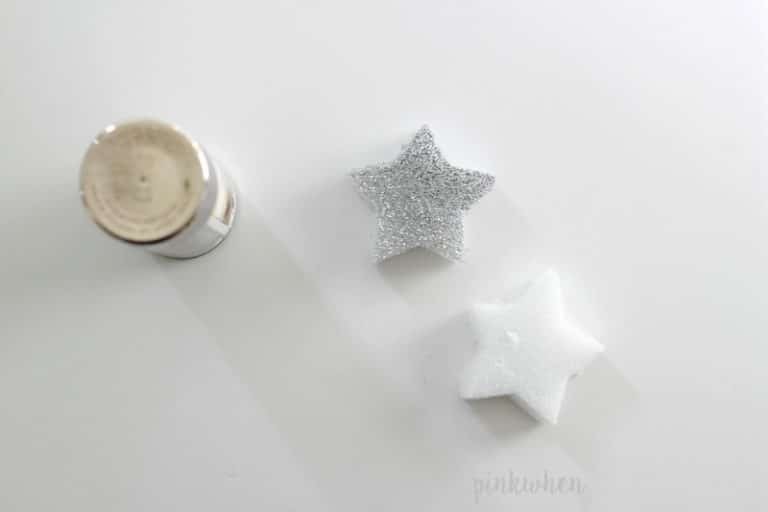 Check out how I made these adorable DIY Christmas Gift Tags below. I love everything about Christmas. 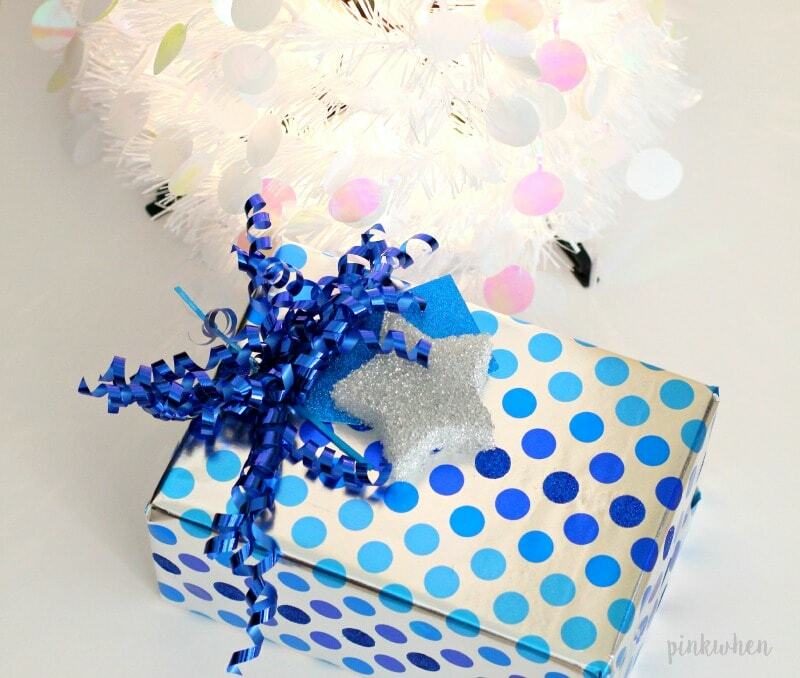 As a person who has a lot of fun giving, I love to decorate those gifts when I can. This year I was challenged by the FloraCraft® team to create and decorate with the Make It: Fun® foam for the holidays. After looking at all of the inspiring projects, I decided on an adorable Moose and Star for the tags. This project was so easy, it’s almost scary! I seriously made these tags in just a few moments, and you can, too. To get started, place your cookie cutters on top of the foam. Press the cookie cutters into the foam as far as you can. Take the folder and place it over the cookie cutters and then carefully hammer the cookie cutters completely through the foam. 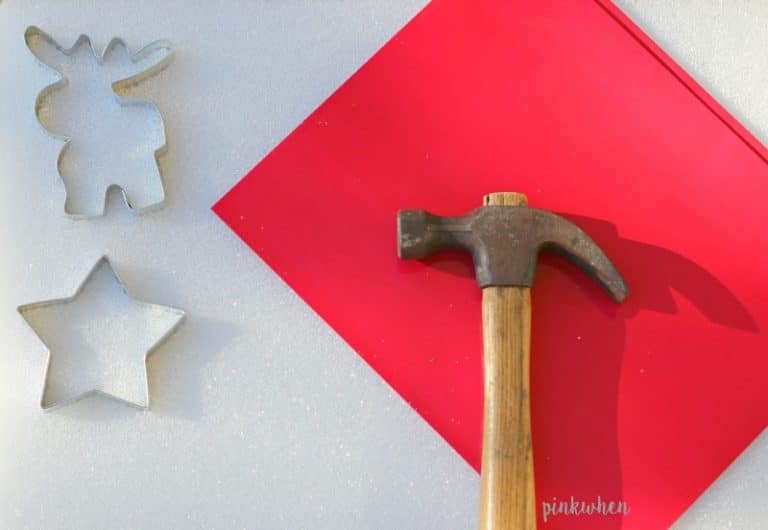 Gently push the foam through the cookie cutters, then remove the cookie cutters from the sheet and do it again until you have the desired number of pieces. 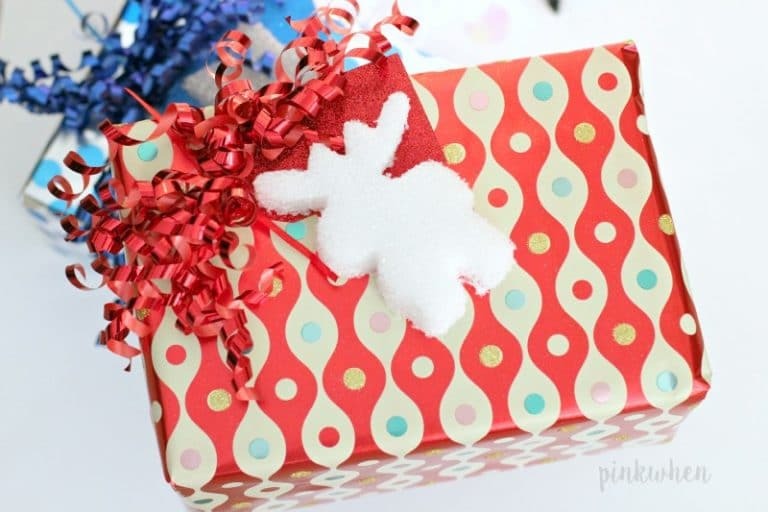 After wrapping the present and adding all of the additional pieces needed, I then attached my foam gift tags. I can’t decide which one I like best. Crafting with foam is so fun and so easy! 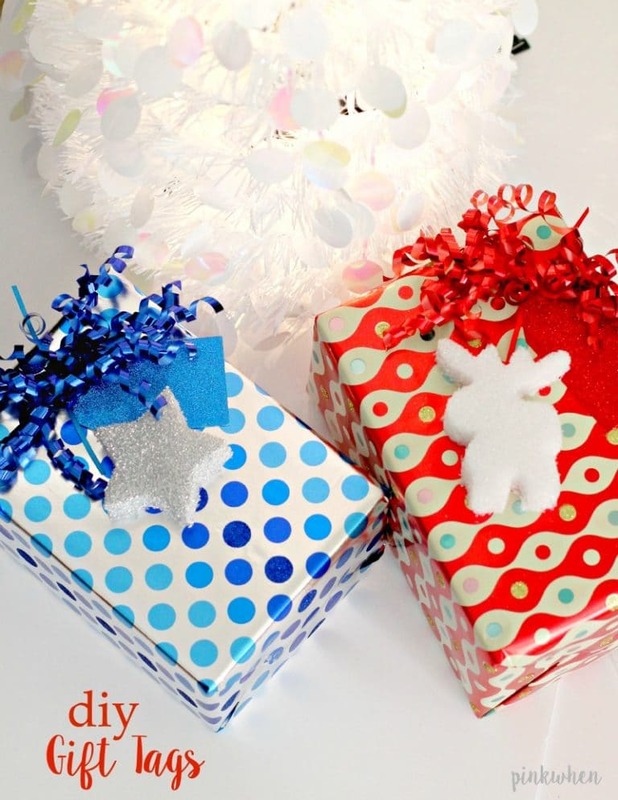 If you are looking for a quick DIY project for Christmas, try these DIY Christmas Gift Tags. 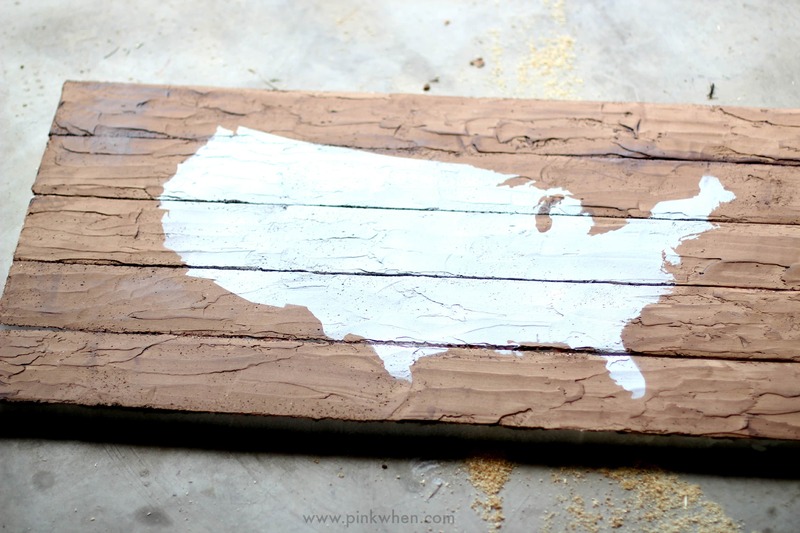 If you are looking for other fun projects to make, check out this fun Foam Pallet Map – a Pottery Bar Knockoff I made last year. 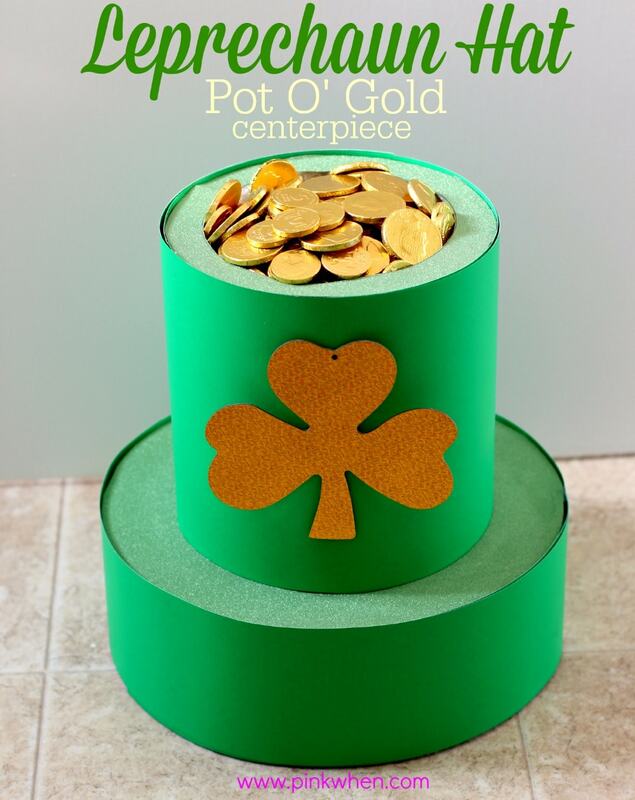 Or for a fun future project, check out this DIY Leprechaun Hat full of chocolate gold coins! 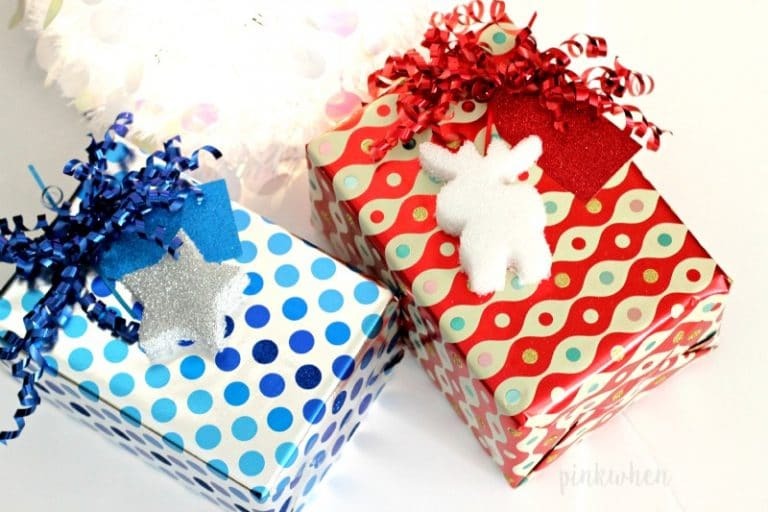 I love to create gift tags, and these are just too cute! Thank you for sharing! So simple and fun! Love that it adds a light depth to the gift too.